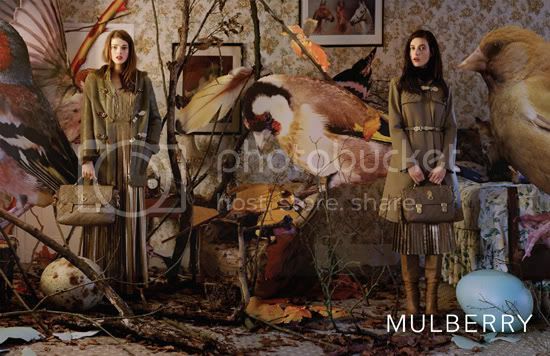 I love the way the new Mulberry Fall 2011 campaign has been presented. 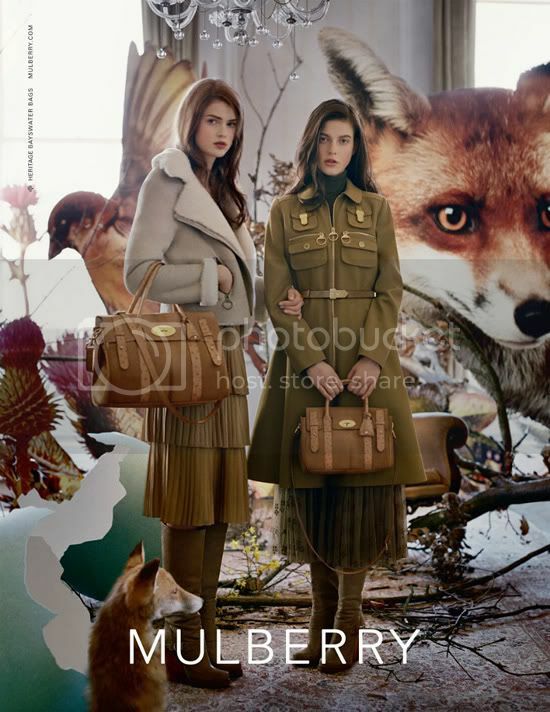 Woodlands, oversized eggs and cut-out animals gives it an Alice in an Autumn Wonderland kind of feel. How gorgeous are the bags from this collection? 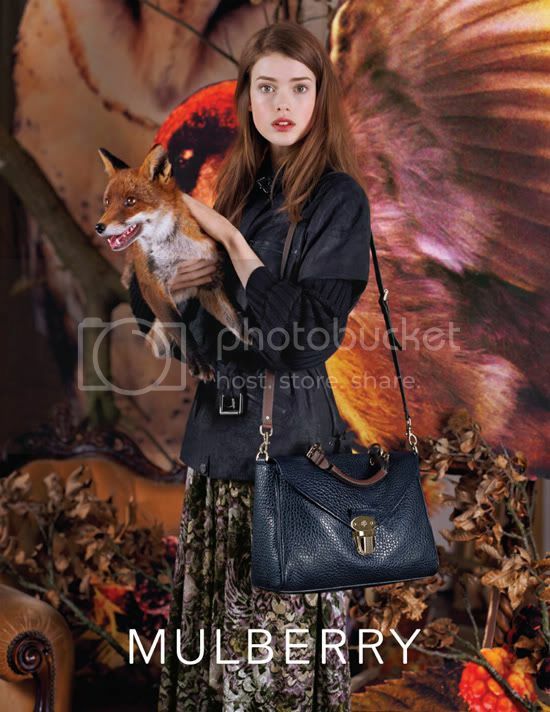 I particularly love the navy blue satchel with the brown trim (and I'm pretty sure Witchery has done an inspired version of this bag recently?). Today I'm going to go to the Tutankhamun exhibition at the Melbourne Museum and then out to dinner. Have a lovely weekend! Awww ... is there anything better than satchels & tweed. Love it. Although not too keen on the stuffed animals, but they have always kinda freaked me out. Have fun at the exhibition! 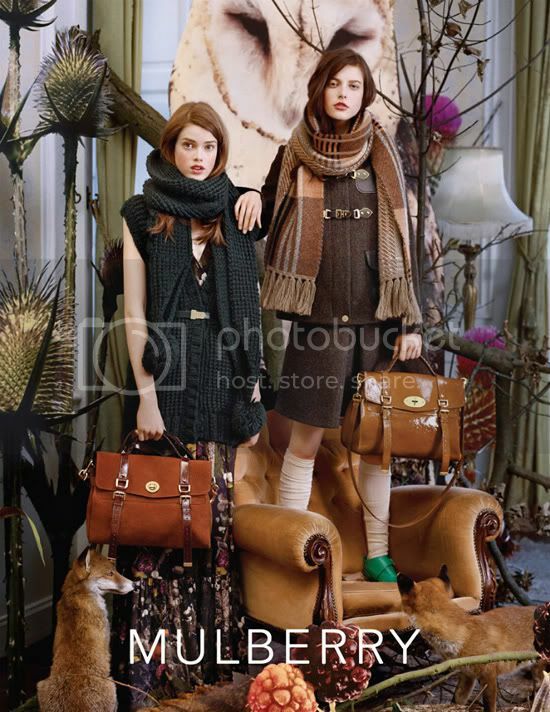 This is such a gorgeous collection, I especially love the satchels and the navy scarf in the first picture. I just...I can't even...this is all so amazing. I am really, really craving some cold weather now. 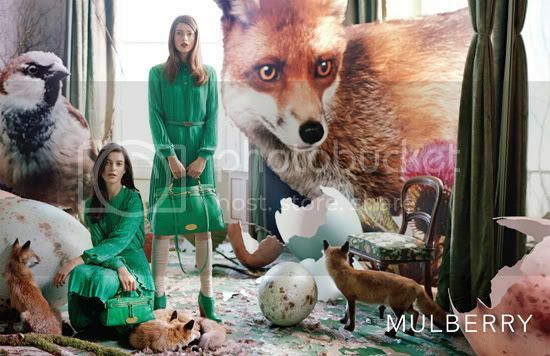 That green is just gorgeous and I might be persuaded to kill for that coat on the right, third picture down. Thanks for sharing! 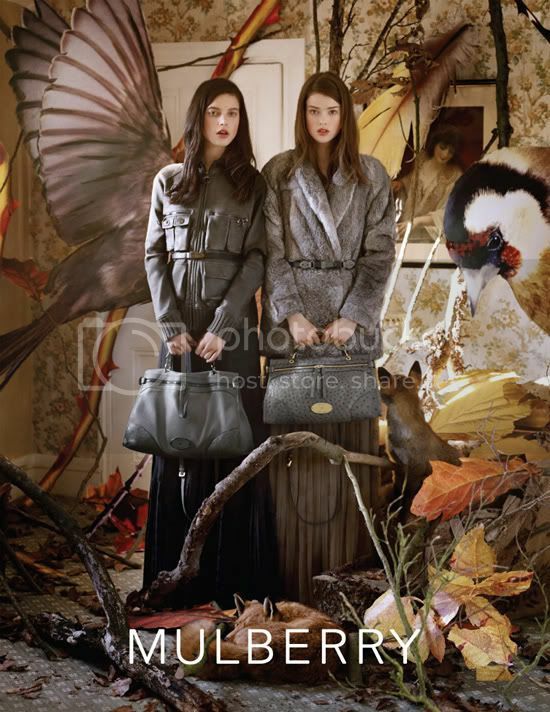 kind of loving these advertisements for mulberry. it is most definitely one of my favorite brands. I love the collection! The bags are fabulous! Hi!! 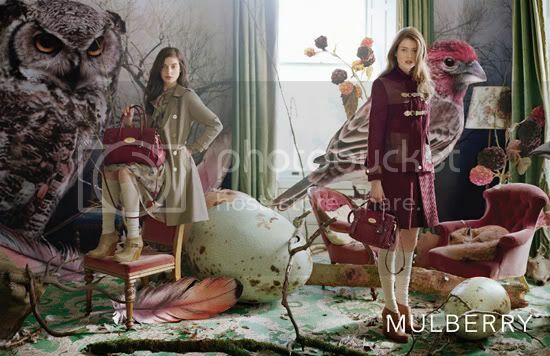 Mulberry is gorgeus!! I would like buy something... 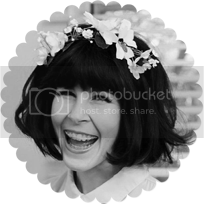 Your blog is really cool! I love it! her name is Julia Saner. OH heck I LOVE this collection! I love how it's so busy and bright! Kelly - Oh no, I hope they didn't use real stuffed animals, that's something I definitely don't support!